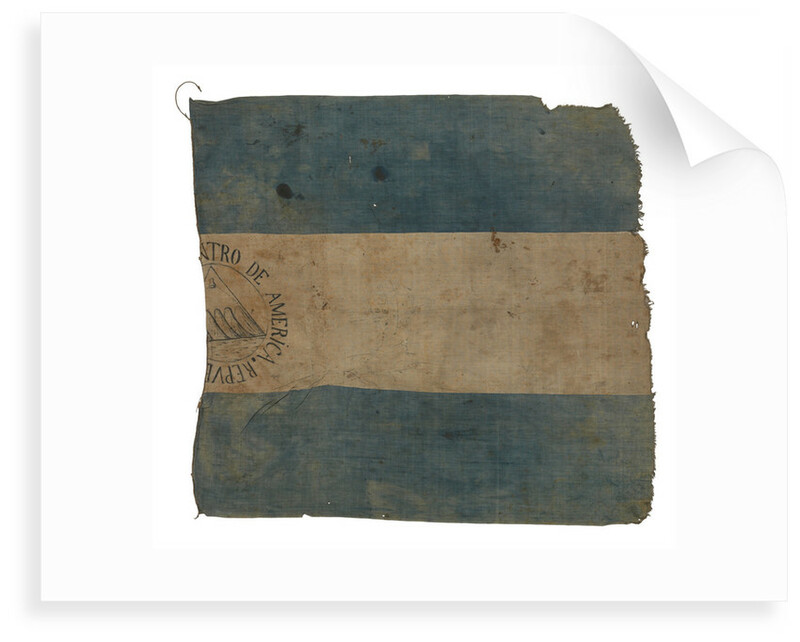 Flag of the Republica Federal de Centro America (1825-1838) captured in Nicaragua in the action at Serapaqui in 1848 by Captain Granville Gower Loch (1813-53), HMS 'Alarm'. 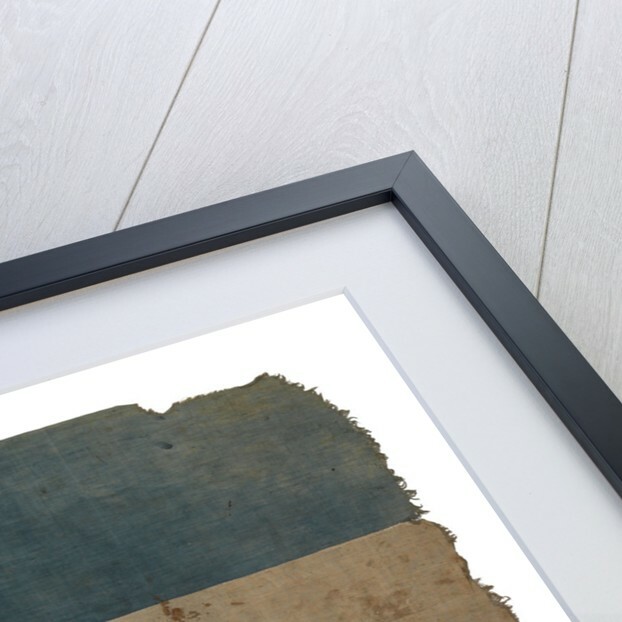 The fly half of a cotton flag, dyed unevenly a pale blue, with a horizontal white stripe across the centre. Painted on the centre stripe in black, is a triangle containing a row of volcanoes with a cap of liberty above, the sea is depicted below the triangle. The legend surrounding the arms: 'REPVB[LICA FEDERAL DEL CE]NTRO AMERICA'. 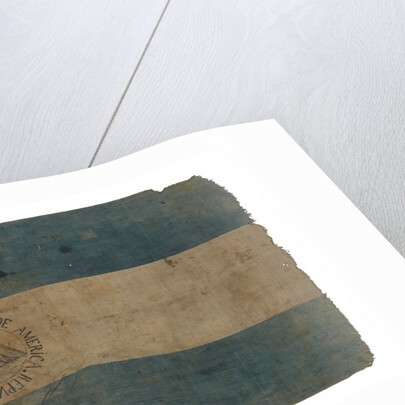 Traces of a second badge can be seen sketched on the white stripe. 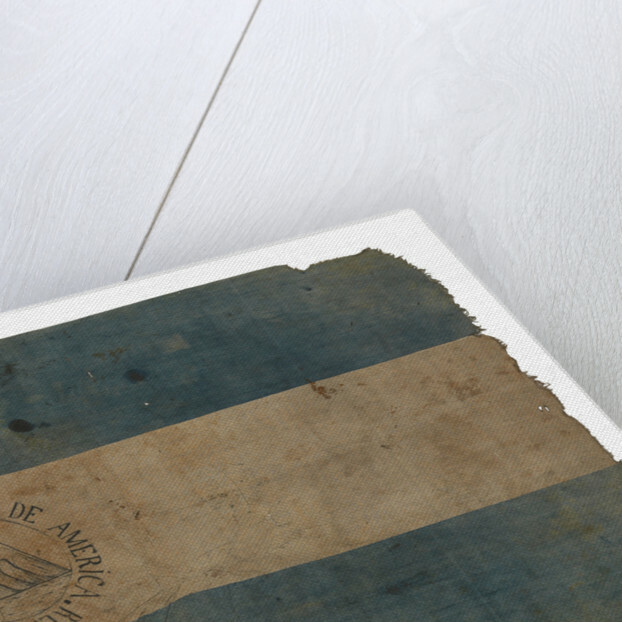 White cord has been hand sewn into the torn edge of the flag.